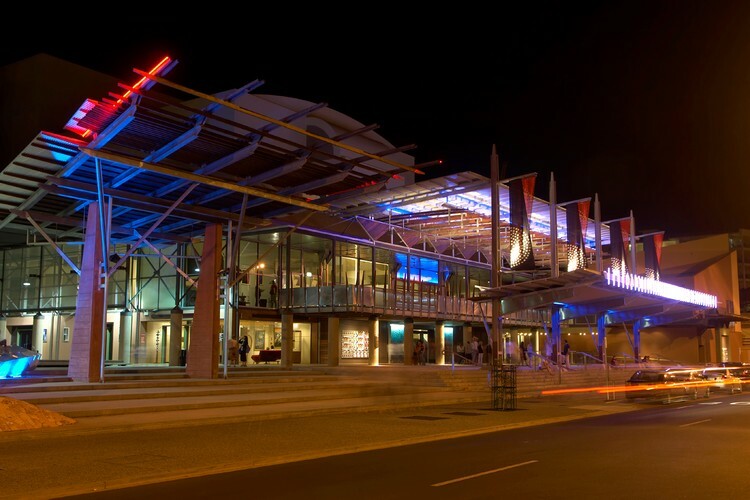 Opened by the Administrator of the Northern Territory in 1986 ‘on behalf of the people of Darwin’, the Darwin Entertainment Centre is the premier entertainment and convention venue in the Top End of Australia. Located in the heart of the city in the Mitchell Street entertainment district, the Centre is close to all amenities and easy to access. 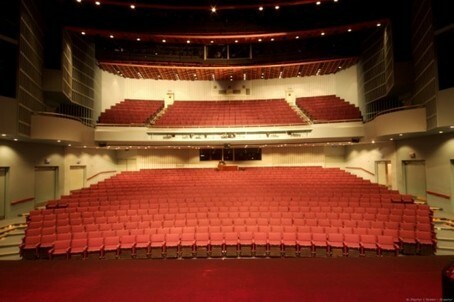 The Centre can accommodate almost any kind of performance or event, large or small, and has played host to major national and international acts as well as Darwin-based artists, local Eisteddfod competitions, and school concerts. Facilities include the Playhouse, a large, traditional proscenium arch theatre seating approximately 1000, and the smaller, more intimate, Studio Theatre which seats 290 in theatre mode, or 200 in cabaret configuration. There is also an Exhibition Gallery and Rehearsal Room. Access for the physically disabled and audio enhancement facilities in both theatres ensure that the Centre remains accessible to all.